It’s the middle of the week and I have just the dessert you need to get through the mid-week slump! These salted dulce de leche brownies. 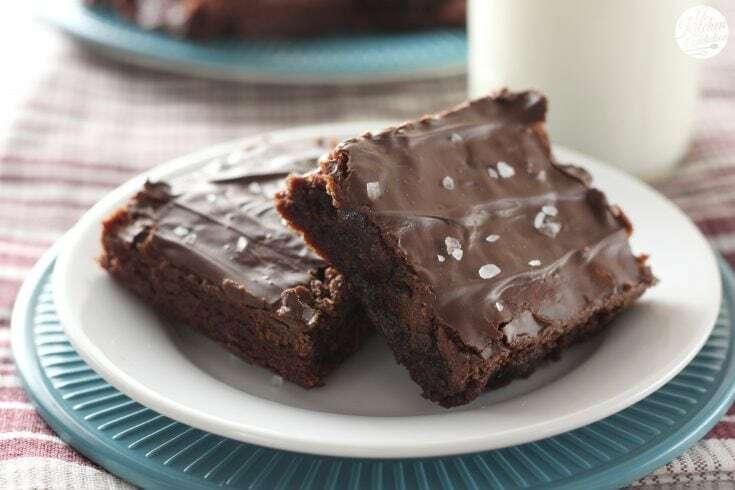 Rich, fudgy brownies swirled with smooth, creamy dulce de leche, topped with dark chocolate, and sprinkled with sea salt. Quite possibly the best brownies I have had. No kidding. Especially when they are still a bit warm. The dulce de leche makes the brownies a bit gooey and dark chocolate topping just adds to the richness. Usually I can resist whatever baked good I’m making because I’m actually not a huge fan of sweets (unless it’s a sweet roll/bread! ), but these brownies tested my self-discipline! The sweet and salty combination just proved too hard to resist! On a side note, if you can’t find dulce de leche in the store, Dorothy, from Crazy for Crust, has a great tutorial on how to make it in your slow cooker using sweetened condensed milk. 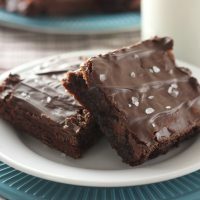 It’s super easy, but when I wanted to make these brownies, I was too impatient to make my own so I bought a can. Either way, the caramel-ly goodness makes these brownies irresistible! Preheat oven to 350. 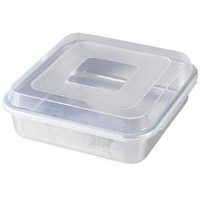 If you want thick brownies, lightly spray a 9x9 or 9x11 inch baking dish with non-stick cooking spray. For thinner brownies, use a 9x13 inch baking dish. In a large saucepan, melt butter over medium heat. Stir in sugar and cook until sugar starts to dissolve. Stir constantly to prevent scorching. Remove from heat and allow to cool for 5 minutes. Stir in cocoa powder until well blended. Beat in eggs and vanilla extract. Stir in flour, baking powder, and salt. Pour half of batter into prepared baking dish. Spoon half of the dulce de leche over the top and swirl through batter with a knife. Pour remaining half of the batter over the top. Spoon remaining dulce de leche over the top. Swirl through batter with a knife. Bake for 25-30 minutes or until toothpick inserted in the center comes out mostly clean. Remove to wire rack to cool. Once cooled, melt chocolate according to package instructions. Spread over the top of brownies. Sprinkle with sea salt. Once chocolate has hardened slightly, cut into pieces and allow to harden completely before serving. Oh man these brownies will help me get through the rest of the week. OMG yeessss — sounds like heaven and they look so fudgey – yum! Oh my WOW. These look good!!! These brownies look so amazing! That salt and dulce de leche combo sounds to die for! Oooh, the idea of these warm and gooey and fresh has me so hungry, even though I just ate breakfast 🙂 Gorgeous!! Brownies. Dulce de Leche. Salt. No way could I resist these brownies if I had them in my house! I am loving these so much! 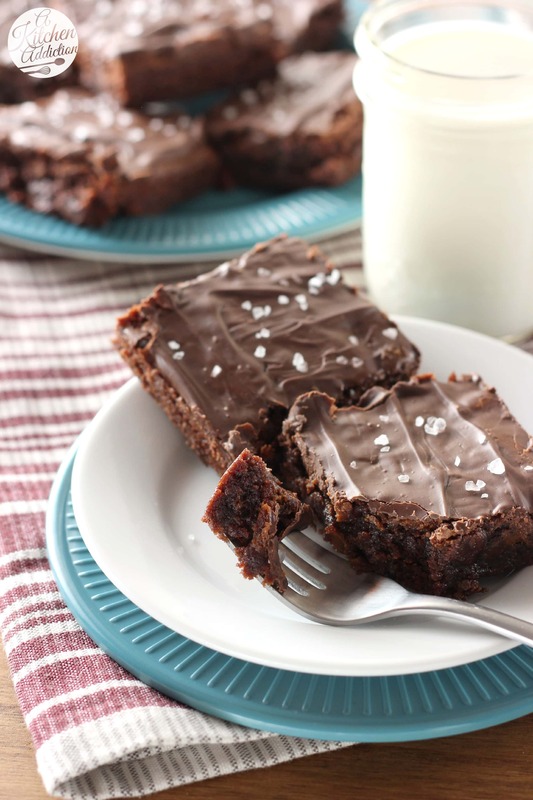 I must have missed the memo. . I’m seeing so many fabulous brownie recipes today!! but I love this one the most because of the d dulce de leche .. which I have made at home from sweetened condensed milk .. love these!!!! OK, I definitely need these in my life – like right now. Just the midnight feast I’m craving for, and like you said — the perfect thing to get me through the rest of this crazy week. I’ve already printed the recipe. Can’t wait to try them. Pinning, too. Love the sweet & salty combo! 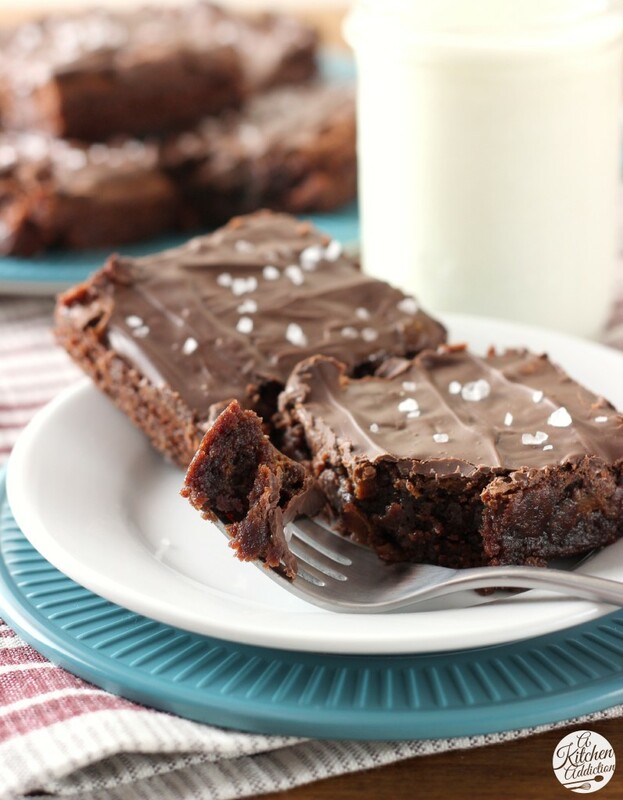 These fudgy brownies look amazing! So decadent! I make dulce du leche from condensed milk as well, so much better fresh! These look amazing! 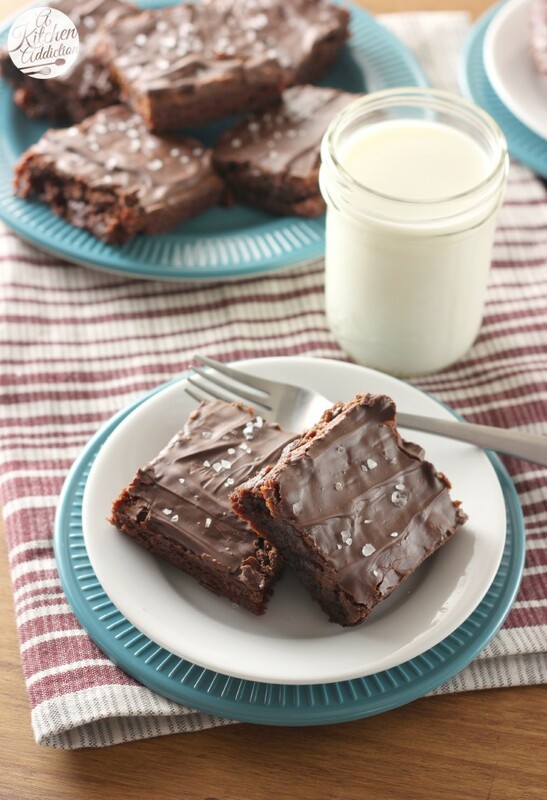 Love anything sweet and salty and in brownie form? Yes please! I wouldn’t be able to resist these either! Ummmm damn STRAIGHT I need these!!! Like, for breakfast. Brownies are just the thing I need to get me through the week. These look decadent! These look so decadent and delicious! Love the touch of salt on top! Looks absolutely delicious! I reckon I could eat a whole plateful of them in one go easily! There is nothing more I want in life right now than one of these brownies warmed up with a glass of cold milk on the side. OK, two brownies. heeeeavenly! I always love the sweet and salty combo and these brownies are screeeaming that tastiness! Your photos are stunning!! LOVE these brownies so darn much.